1. Start a new fitness plan. What are your goals? If you wish to lose weight, you have to muster up the discipline to finish what you have started. This includes actually going to the gym (not just enrolling in one and going only when you feel like it). If you don’t have extra cash to pay for the gym fees, look for alternatives. The neighborhood zumba class is for free. Allot 30 minutes daily for walking around your area. Limit the partying and get enough sleep. 2. Eat right by eating breakfast. Breakfast energizes you for the day’s load. 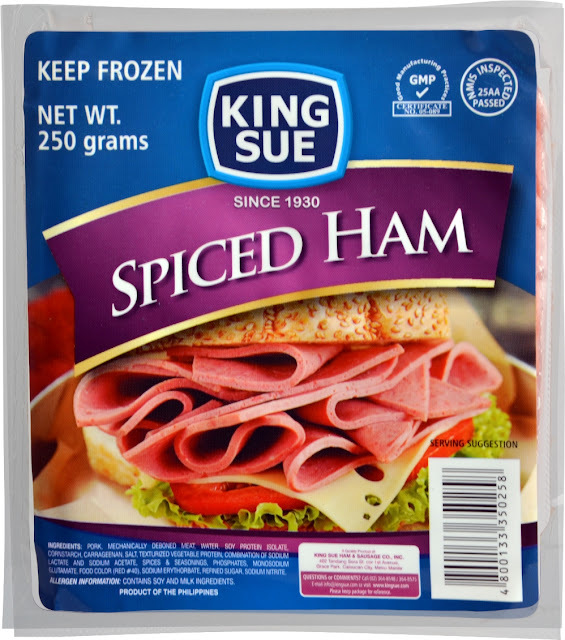 KING SUE has a lot of breakfast choices, from your favorite Chinese and Hawaiian hams, to bacon, salami, and bologna, and other meat products. You may also want to dice the Chinese bone-in ham (leftovers from the Holiday season) and add these to your omelet or fried rice. You’ve been dreaming of that vacation but never have the budget for it. You’ve always tried to save for rainy days but you just couldn’t seem to make it happen Time to do it now! Set aside a certain amount from your paycheck, no matter how small. Eating out could eat up your budget. Learn to stay home and prepare your own meals. 4. Commit to spending more time in the kitchen. Cooking and preparing meals can be therapeutic for many people. You could be one of them. Try spending more time in the kitchen. Start slow until you get the hang of it. Pretty soon, you could be whipping up dishes you never thought of doing. Begin by prepping your own baon or lunch packs. Aside from the satisfaction you’ll get from eating a meal you painstakingly prepared, it means a lot of savings too. 5. Organize your meals and your kitchen. Then, move on to more challenging tasks in the kitchen. Have a well-thought out weekly menu and assign two days weekly—preferably Sunday and Wednesday—for marketing and cooking. Check out some leftover meats and turn them into fresh new dishes. Pork Chops from last night could be pork and rice casserole the next day. If you have fried chicken, add it to a soup, salad, or make a pulled chicken sandwich. Use King Sue sausages for your pasta, or King Sue hams for pizza and soup. 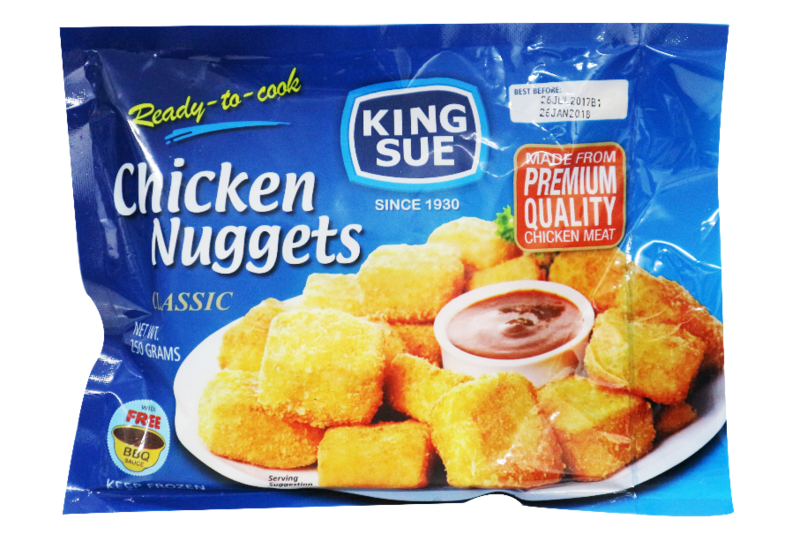 For more stress-free dishes, King Sue has pre-packed meats such as tocino, corned beef/chicken nuggets, chorizo bilbao, deliburger beef, and nuggets. Check out www.kingsue.com for quick and easy recipes when you run out of ideas. These bite-sized mini goals are simple but easy to do. Especially when many of us vow to start afresh, King Sue’s suggestion might help make 2018 your best year yet!